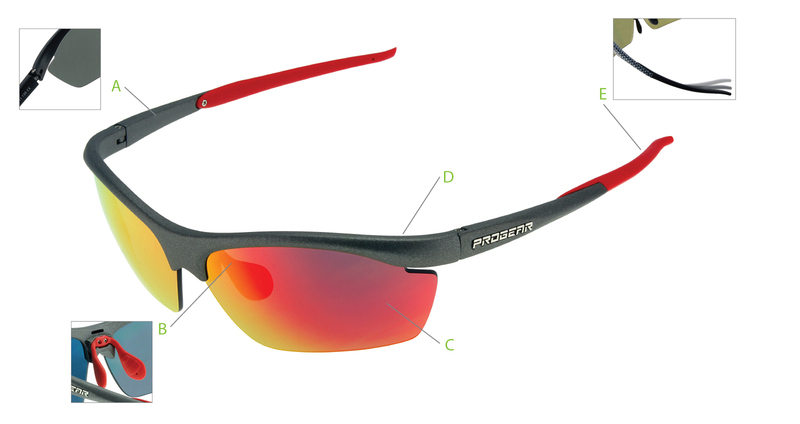 “Rx-able Clip-on” with adjustable stainless steel core double injected with nylon to prevent lens scratches. 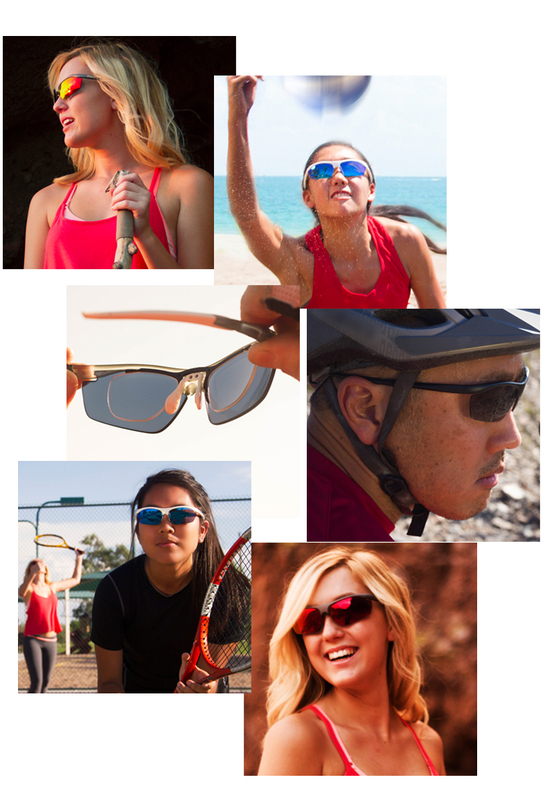 Inexpensive and versatile optical correction for consumer. 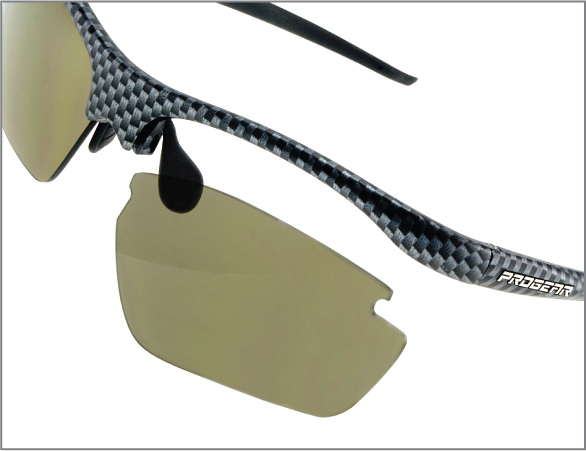 Interchangeable lens system, but with 6-base lens curve vs. most 8-base sport wrap in the market, i.e. 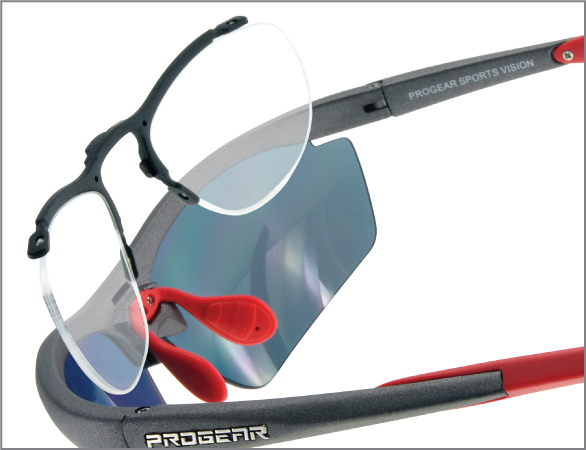 more accommodative for direct Rx lenses and less expensive solution for consumer.